Recently, a couple in North Carolina had to get the husband’s snakebite treated in the hospital. After being handed a heart-stopping bill worthy $89,000 for an 18-hour emergency stay, four vials of anti-venom and other medical costs, their insurance coverage and Medicare eventually reduced the cost to about $5,400. The real question is what this person would have done without health insurance? The cost for medical treatment, as everyone can attest, has skyrocketed. This article will focus on the medical bills following a personal injury case. First the article will address the risk of medical malpractice following a car accident. Second the article will look at the role of underinsured insurance following a catastrophic injury. Medical malpractice can be defined as a breach of the standard care required by a medical professional during the course of treatment. This is more important than it actually sounds, because when a medical professional makes a mistake, or is negligent, your life could be in danger. It’s no surprise, then, that allegations of malpractice are taken very seriously. 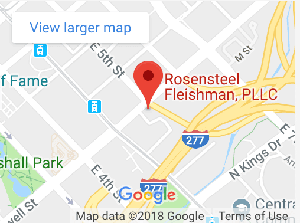 Any sign of negligence or wrong treatment should make you ready to consult with lawyers from Rosensteel Fleishman PLLC, as their lawyers have years of experience dealing with North Carolina law as it applies to medical malpractice. When dealing with a malpractice suit, it’s important that your case be reviewed by a medical expert, to see if, indeed, there was negligence or improper action taken. That expert should also be willing to testify under oath that the medical care the client received did not match or comply with applicable standards of care for the local community. Aside from a medical expert, lawyers from Rosensteel Fleishman will also make sure that the client has the best chance of winning just compensation. It is for this reason that lawyers will advise that the client not talk to the insurance company or the medical provider without their approval. Malpractice cases are very expensive and time consuming. Cases can take years to fully prosecute. If the plaintiff’s lawyer is known to be willing to settle rather than go to trial, then it is possible that the settlement might be much less than true value. This is one reason why lawyers from Rosensteel Fleishman continue to represent people injured in medical malpractice cases across North Carolina. They are known for going to court if necessary, and winning for their clients. Losing loved ones is a part of life – but it’s not right if your loved one is taken from you because of medical negligence. In this case, a wrongful death can happen for a number of reasons in medical malpractice. The reasons can range from miscalculated or erroneous drug treatments, to wrong diagnosis, and even errors in surgery. Lawyers from Rosensteel Fleishman listen to the victim’s families, so that a proper strategy for approaching the case is enacted. In situations like this, justice and compensation aren’t the only things that have to be considered, one also has to consider the element of closure. We like our clients to feel like they have done the best they could in honor of their departed love one. Every angle and possible solution will be explored, to ensure the highest likelihood of success, balanced with the best possible amount of compensation. After all, this case is not only to bring justice for the departed, it’s also about making sure the ones left behind won’t have to suffer too much. Lawyers can help from the basics, like opening the estate, to filing the Complaint, negotiating the claim and, if necessary trying the case. Wrongful death cases are extremely complex, and it takes an experienced lawyer to handle the case properly. Medical Malpractice applies in personal injury cases. For example, if a plaintiff is injured in a car accident and seeks medical treatment, the at fault driver is still responsible for any medical malpractice which stems from the treatment. Problems arise when people seek medical treatment from the steep financial expense of today’s modern medicine. It is not unusually for one trip to the ER to cost tens of thousands of dollars. Sticker shock is very common in today’s medical environment. What’s worse is when the other driver’s insurance is a $30,000.00 policy (NC minimum policy). If you do not have UIM coverage you may end up owing your medical providers thousands through no fault of your own. We urge our clients to closely examine their insurance coverage. There is no reason in today’s day and age to carry the minimum coverage as your exposing yourself to unnecessary risk. For example, if you are injured and incur expenses of $50,000.00 and the other driver only has a $30,000.00 policy you will owe your medical providers $20,000.00. While this may seem unfair, it is legal. Clearly, NC should raise its minimum insurance requirement. Insurance rates in NC have climbed but coverage have not. Clearly, this needs to change. -	No fee will be charged for the first meeting, wherein the client or his or her loved ones will speak with one of the lawyers to determine the initial details and strategies for the case. -	All communications from the client will be replied to, be it phone calls, e-mails, or letters. -	All clients will be treated with dignity and respect as a matter of course. -	All lawyers assigned will work to get the best possible result for the case, depending on the client’s wishes or parameters. Given those guidelines, Rosensteel Fleishman lawyers are your best bet in North Carolina when it comes to personal injury cases. Please contact us to discuss your case. You will be directly connected with a lawyer who can answer all of your questions. A meeting will be set up to talk in person. There is no fee for a consultation and no obligation.